Hi everyone! Happy Sunday, and I hope everyone had beautiful Thanksgiving holidays. Today we’re making cinnamon rolls. I’m not going to deny that cinnamon rolls from the grocery store or even from a can are tasty, and I’ve been known to eat large quantities on a fairly regular basis actually. 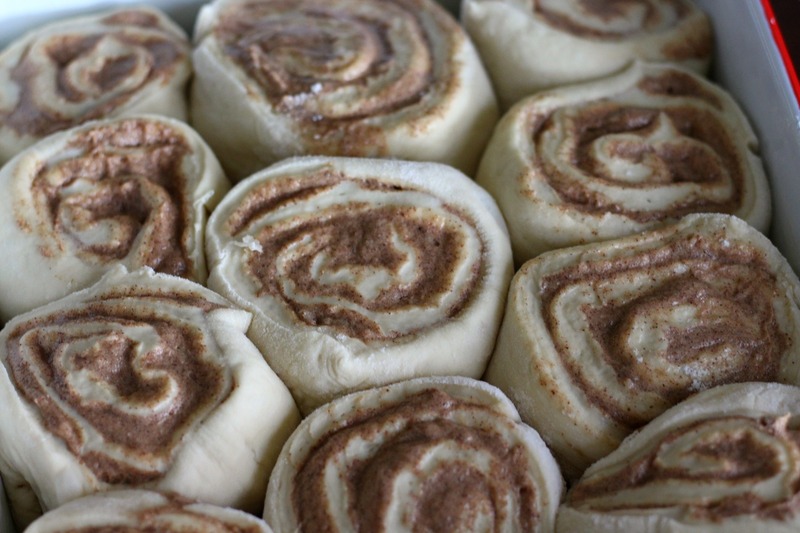 But there’s nothing like homemade cinnamon rolls. It’s a weekend task, to be sure, but it’s well worth it. 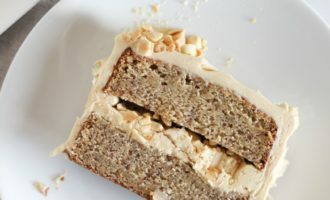 I’ve actually tried probably dozens of cinnamon roll recipes over the last few years, with little success in finding something that really had everything a great cinnamon roll should. 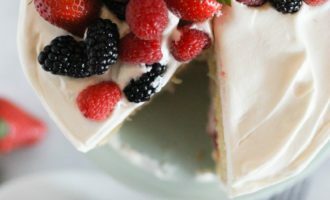 The right filling is crucial really, and getting a dough that is light and fluffy is quite difficult in higher altitudes. This time, I used a variation of a basic white bread dough for the rolls, and it turned out perfectly. For the filling, there’s a couple of different methods. The most common is to spread butter on the dough, and then use some combo of cinnamon and sugars to sprinkle on top before rolling it all up. The second is to create a sort of paste with butter, cinnamon, and sugar, and spreading it all together onto your dough. This second option is the method I went with for these. 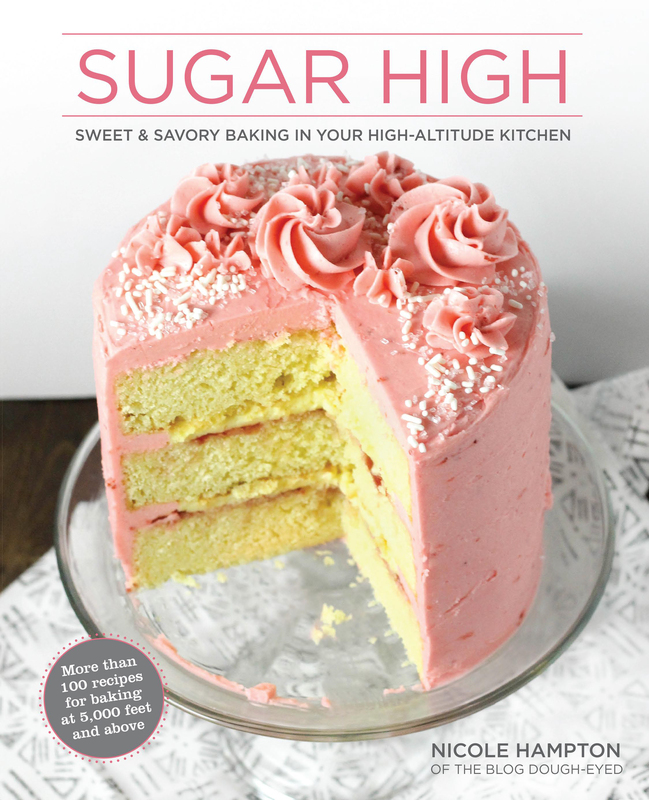 If you’re in a high altitude, be sure to watch your dough rises very carefully. Over-proofing your dough is one of the main issues that people run into for high altitudes. 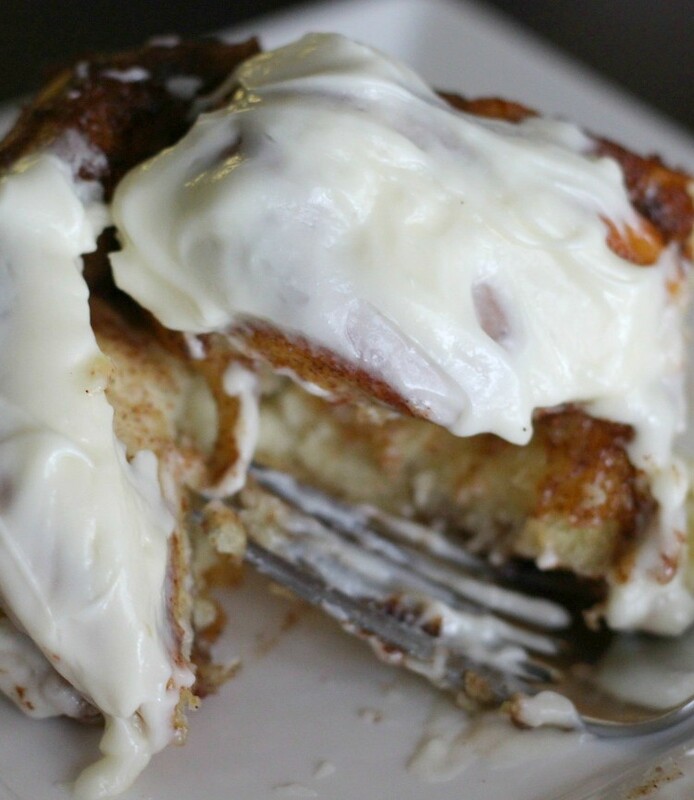 Basically, if you’re looking for that ooey-gooey cinnamon roll, this is your final stop. Slather a ton of the cream cheese icing on top, and enjoy yourself. 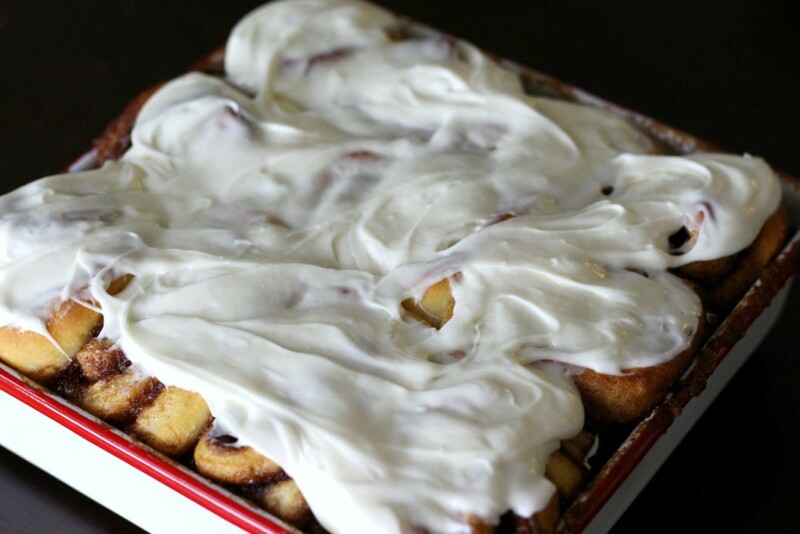 I myself tend to lose my ability to share around cinnamon rolls, but the recipe makes plenty to share if you’d like! Mix together the yeast, warm water, and sugar. Let this sit for 5 minutes until the yeast has bloomed. Meanwhile, in a small saucepan, heat together the whole milk, 1 cup of water, canola oil, and salt until about 120 degrees. Pour the milk mixture into a stand mixture, or a large bowl. Add in 4 cups of flour to start, and beat together until combined. Add in the yeast mixture, and beat together for several minutes. You will have a lumpy, very wet mixture at this point. Add in another 1/2 cup of flour, and beat together. Continue slowly adding flour until dough leaves the sides of the bowl, and is no longer sticky. Then, pull the dough out onto a floured surface and gently knead in a little more flour until it's smooth. Place the dough into a lightly oiled bowl, and cover with plastic wrap. Let the dough rise for 50-55 minutes for the first round. After the first rise, punch down the dough, and knead on a floured surface once or twice. Place the dough back in the bowl, cover, and let it rise again for about 40-45 minutes this time. Meanwhile, mix all the ingredients for the filling until fully incorporated. Roll out the dough into a large rectangle, and spread the filling mixture evenly across the entire thing. Roll up the dough tightly, and slice into 15-18 rolls. Place your rolls in a greased 13x9 pan, and let rise for another 15 minutes or so. Bake for 30-35 minutes, or until rolls are golden brown. Beat together the cream cheese, powdered sugar, and vanilla extract. Then beat in the heavy cream. 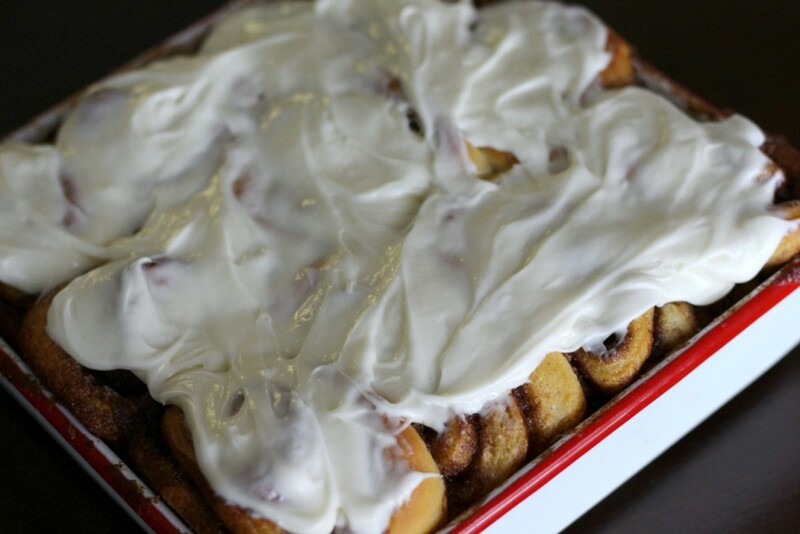 Slather it all over your warm cinnamon rolls and enjoy! 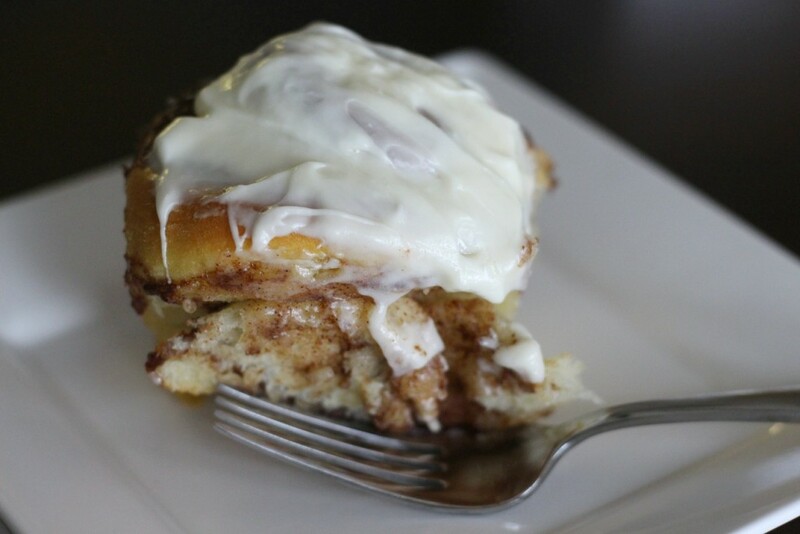 Oh boy, there's not much better than homemade cinnamon rolls. 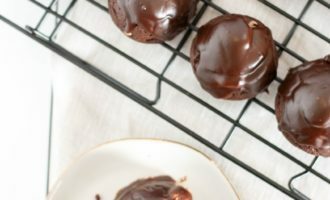 I always make a batch for Christmas morning! 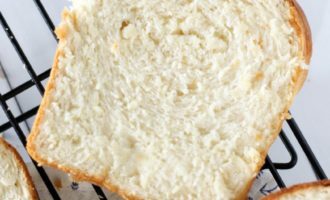 Can you use all purpose flour instead of bread flour? 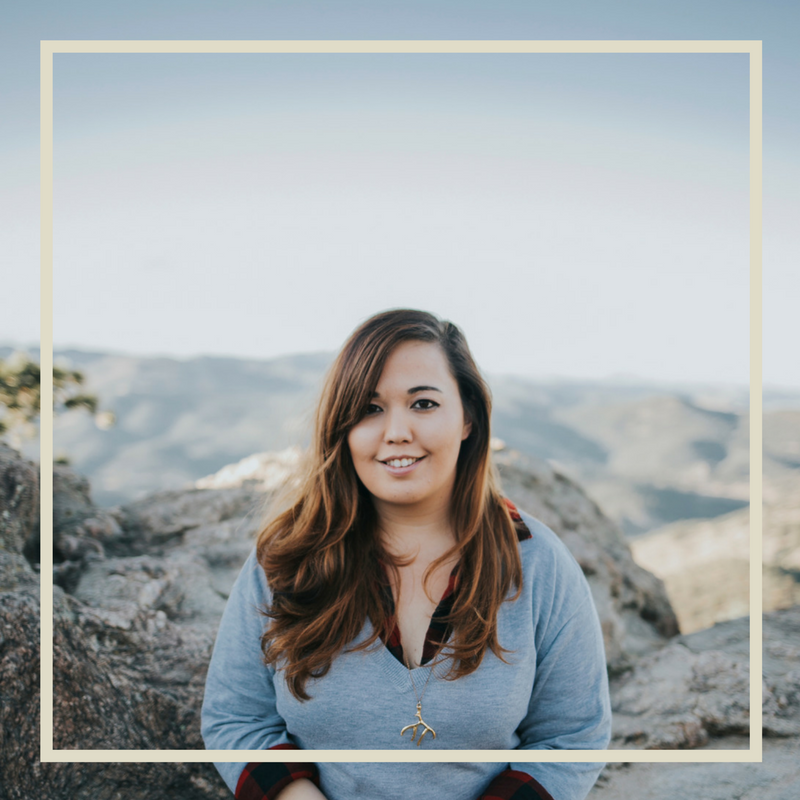 Hi there- I would not recommend swapping out the two flours- bread flour has a stronger protein structure which is a big deal with bread doughs!